Is there any paperwork or document for the mechanical systems of 248 Kennedy St W, Aurora, Ontario? I need more information about the property at 248 Kennedy St W, Aurora, Ontario. How ist the neighborhood, location and nearby amenities for 248 Kennedy St W, Aurora, Ontario? I have questions about the roof, foundation, insulations and mechanical issues of 248 Kennedy St W, Aurora, Ontario? I need more information about property details. What's wrong with this house? Is this a short sale? Is there any maintenance for 248 Kennedy St W, Aurora, Ontario? What is this property worth in today's market? What are "closing costs", and how much? What steps should I take when looking for a home loan? What price home can I afford? Is my credit good enough to buy this house? What are the best mortgage options for me? How flexible is the seller on the asking price? How low can I consider offering for 248 Kennedy St W, Aurora, Ontario? 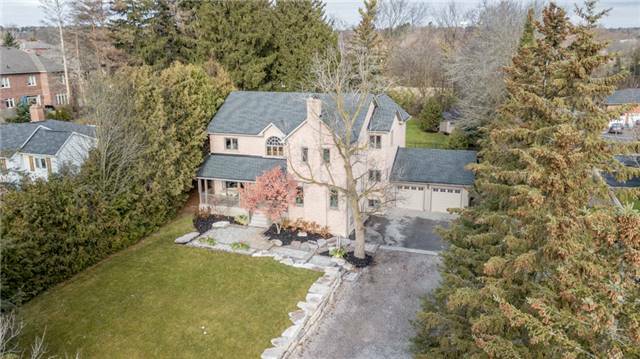 Beautiful 5 Bedroom Family Home On Over A Half Acre Mature Lot On Prestigious Kennedy St. Amazing Private Backyard Retreat With In-Ground Pool And Large Deck. Eat In Kitchen W/Granite Counter And Travertine Flooring. Wood Burning Fireplace In Living Room. Master Bedroom W/Walk In Closet, 5Pce. Ensuite, Sitting Area & Separate Staircase. Comfortable Lower Level Family Room, Exercise Room & Laundry W/Above Grade Windows. Hrdwd. Floors Thru Out, 9 Foot Ceilings. Include: Stainless Steel Fridge, Stove, Built In Dishwasher & Rangehood, Central Vacuum, Cac, Water Softener, 2 Garage Door Openers, Large Garden Shed, Pool Equipment.